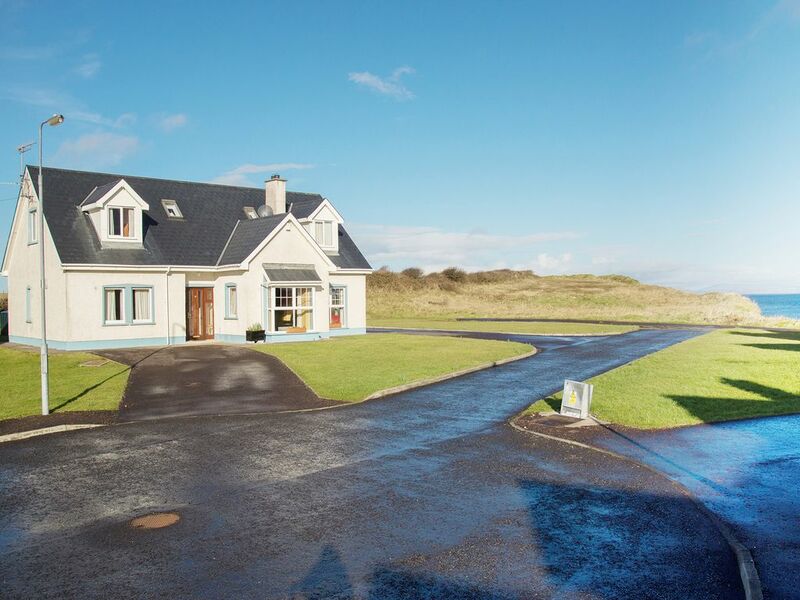 This is one of 15 holiday homes a mile from the seaside resort town of Bundoran which is midway between Sligo and Donegal town. Tastefully finished, well equipped and spacious with all bedrooms en-suite, perfect for a large party. A wonderful coastal walk takes you into town to its sandy beach, playground, aqua dome, amusement arcade and cinema. This noted surfing area with its 18 hole golf links course is a perfect family holiday destination.Shop. Pub. Restaurant 528 yards. Beach 880 yards. GF: lounge, lounge/kitchen/diner, utility room, 2 doubles all with ensuite shower rooms. FF: double with ensuite shower room, triple with ensuite bathroom.Oil and electricity are charged at EUR7 per day., open fire with starter pack, linen and towels included, travel cot, high chair, TV, dvd player, CD, microwave, dishwasher, w/machine, dryer, internet access, partially enclosed garden, patio area, garden furniture, private off road parking. One pet welcome. Property amenities are pretty basic, one towel per person, kitchen towels came shrink wrapped. No real sense of "home". Regardless, one of our favorite locations with easy access to town, to hiking, to the sea.